Today is Friday, so let’s celebrate that is the beggining of the weekend with this so refreshing frozen Margarita! Rimmed the glasses with salt. Place some salt on a plate, pass a lemon wedge around the rimmed of the glass and press it over the salt. Leave aside. 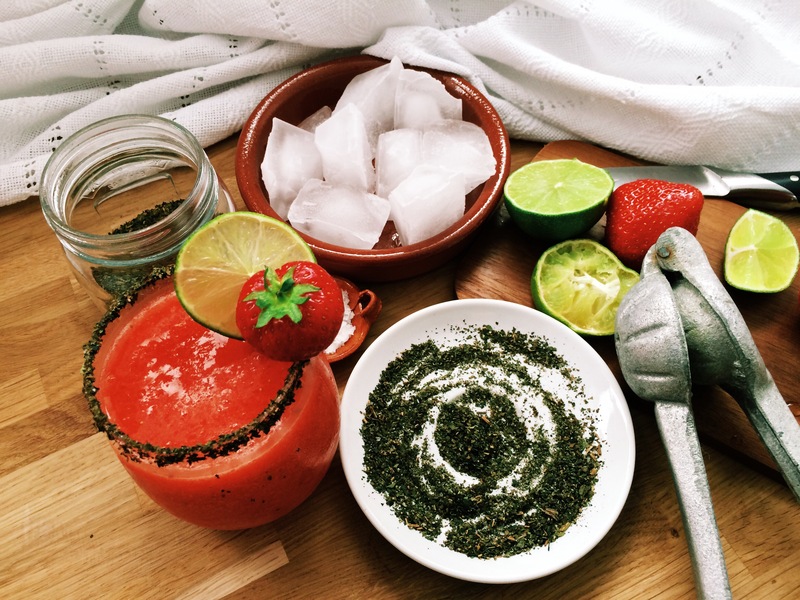 Place the ice, strawberries, lime juice, tequila, agave syrup in the blender and blend until smooth. Pour the margarita into two glasses and decorate with a lime wedge and a strawberry. Enjoy! Happy Friday!